Two Secret Service agents are under investigation for allegedly taking selfies with Donald Trump‘s sleeping grandson, Mother Jones reported on Thursday, March 16. 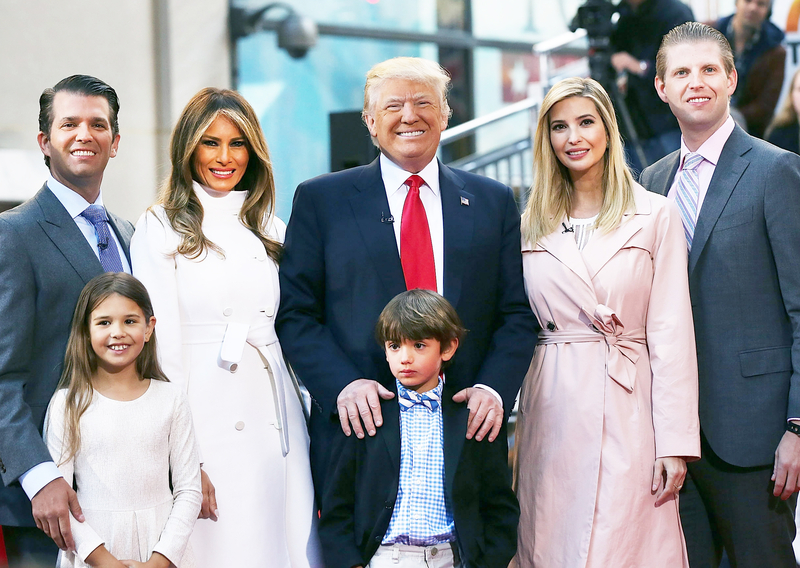 The website reports that the agents were assigned to protect 8-year-old Donald III, who is the son of Donald Jr. and wife Vanessa, and the incident allegedly took place last weekend when the agents were driving the couple’s second oldest of their five kids from a Trump family estate in Westchester, New York, to Manhattan. When he returned home, the boy reportedly told his mother, who shared her concerns with her husband. Mother Jones reports that the matter was brought to the attention of top brass at the Secret Service and the two agents were allegedly ordered to report to the branch’s Office of Professional Responsibility in Washington, D.C. The Secret Service confirmed in a statement to Us Weekly that an investigation is underway. Ivanka Trump's Beauty Evolution Through the Years: Watch! The incident occurred on the same weekend as a man was found on White House grounds carrying two cans of mace. CNN reports that 26-year-old Jonathan T. Tran of California was discovered just before midnight on Saturday, March 11, and told Secret Service agents that he had an appointment with Donald. He appeared in Federal Court on Monday, March 13, on charges of entering restricted grounds while carrying a dangerous weapon and USA Today reports that he faces up to 10 years in prison.